Spiritual seekers are feeling an increasingly strong urge from within to connect with and manifest their life purpose. They are seeking out tools and knowledge to awaken to this purpose and are doing whatever it takes to achieve this. This book is the answer to that search. 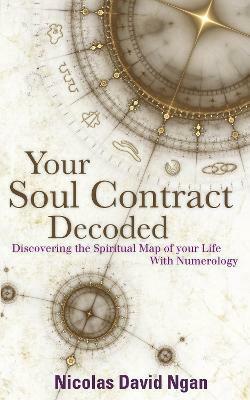 A Soul Contract Reading is an accurate, in depth, channelled system of spiritual interpretation that will empower you to do this by decoding the secrets of the blueprint of your life hidden within your birth name. It is based on an ancient system of numerology that uses Hebrew glyphs, revealing the true essence of the reader's life purpose as well as their karma, talents and goals. This will show you the karmic patterns you face, the talents you have to overcome them, the goals you are trying to achieve and your soul destiny. This book will enable you to discover why you are in the perfect place in your life - be it in crisis, stuck, seeking a new way forward or just needing to make sense of it all. It will empower you to move forward from there. Your Soul Contract reading will place your entire life in context, and will enable you to navigate your life properly for the first time.